Judging by the amount of thinking that goes into it, buying a new mattress might seem no different from, say, choosing someone to marry. It’s perfectly normal. “After all you, spend a 1/3 of your life in bed,” said Lori Dennis, a Los Angeles-based interior designer. We quizzed an array of experts to cut through the overwhelming — and sometimes conflicting — advice out there and boiled it down to what really matters, so you can find the mattress of your dreams. How does the price correlate with your experience? With prices starting at $300 and easily exceeding $10,000, you can’t help but ask yourself how much more rest will you be getting from sleeping on top of a small fortune. The construction and the materials play a huge role in the price, explained Roberson Keffer, Macy’s vice president fashion director of home. Maybe you have your eyes on a coil spring mattress. The more affordable version tends to have an hourglass-shaped coil. While it does provide adequate support, it is also going to wear out faster than a pricier continuous-S-shaped coil mattress, Keffer said. As for materials, memory foam mattresses, for example, are usually 10 percent less expensive than the latex ones. However, if you get overheated easily from tossing and turning in your sleep, Keffer suggests going for latex, a natural material that “breathes” better. A hefty investment might also prolong the comfort. “High-quality foams and springs ensure that a mattress will feel as comfortable after years of use as it did in the store,” added Kristopher Beck, Hilton Worldwide’s director of product management. No matter how basic the model, test it for proper support. “You just have to lie down and try it out,” said Keffer, who recommends brands like Tempur-Pedic and Sealy. If you’ll be sharing the bed, shop with your partner and look for the words “motion transfer.” “Back in the day, every time you moved or got out of bed, your partner would be jolted along with you. 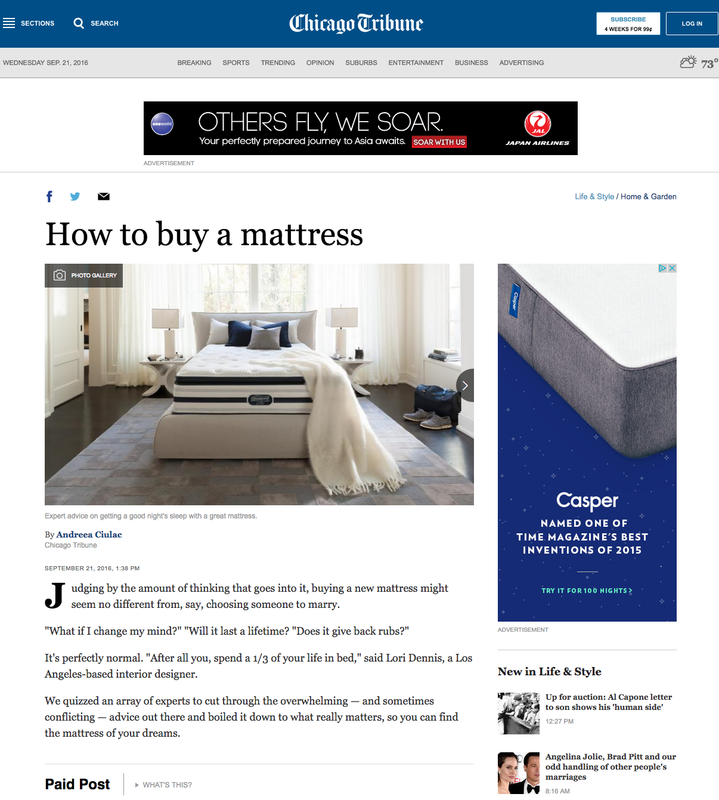 Today’s mattresses have come a long way in reducing that transfer,” said Keffer. He advises shoppers to take turns moving around and getting up, while the other person lies still, before making a purchase. Going organic with your mattress, for instance, might seem like the next step when you’ve already done so with your food and clothes. “I think it’s worth the cost. Otherwise you’re breathing toxins all night,” said Dennis, who added that Parker&Morgan has an affordable line of organic mattresses. Say you’re the type who catches up on emails at night or just loves unwinding with a book at the end of the day. 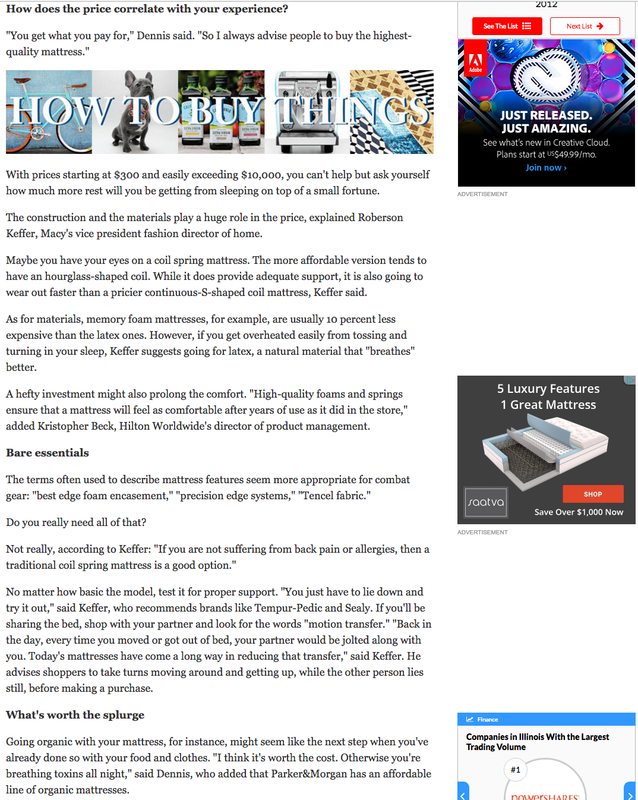 Both Keffer and Beck encourage you to jump on the adjustable-bed-frame bandwagon. And if you’re tired of begging your partner for back rubs, there are options. Some models, like the $1,299 Serta Motion Select, come with built-in massage technology. 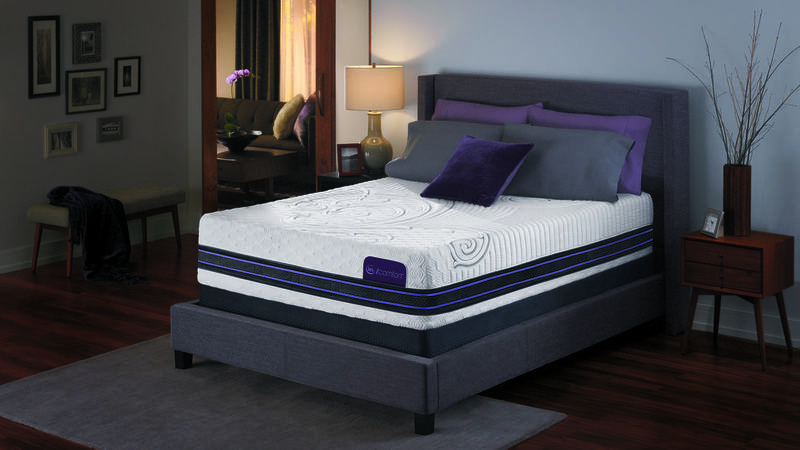 Make sure to pair an adjustable bed with a mattress made from flexible materials like memory foam or latex foam. Foundations incorporating sleep monitors are also on the rise, said Beck. For $1,199, the Smartmotion Base from Simmons promises to capture precise readings of slumber patterns and offer ways to improve them. No matter the choice, there are times of the year to buy mattresses cheaper. Your next best bets? Columbus Day and Presidents Day. “You’re bound to find a great deal during these events,” said Keffer. Andreea Ciulac is a freelance writer. 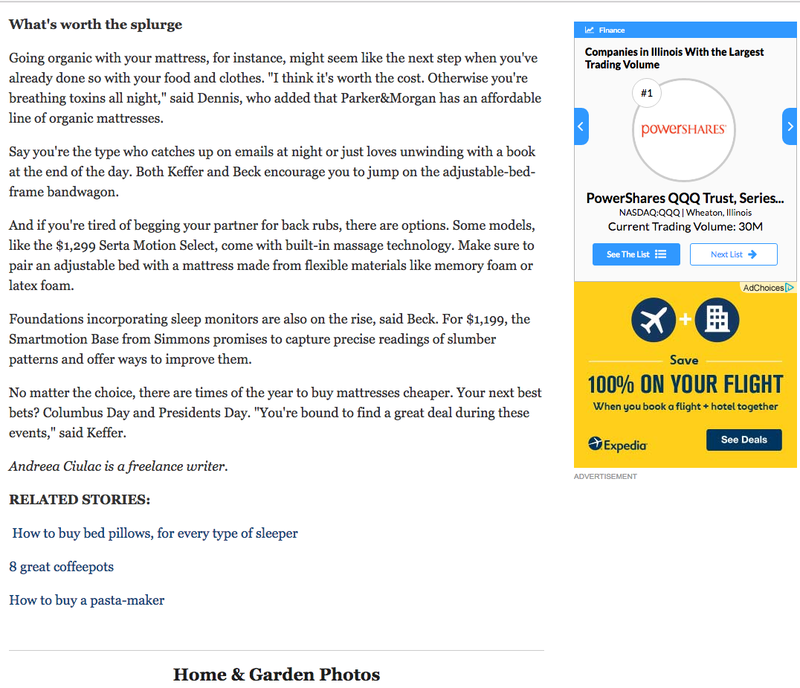 Our partner, top Los Angeles interior designer and HGTV celebrity, Lori Dennis was interviewed on how to buy the best mattresses.